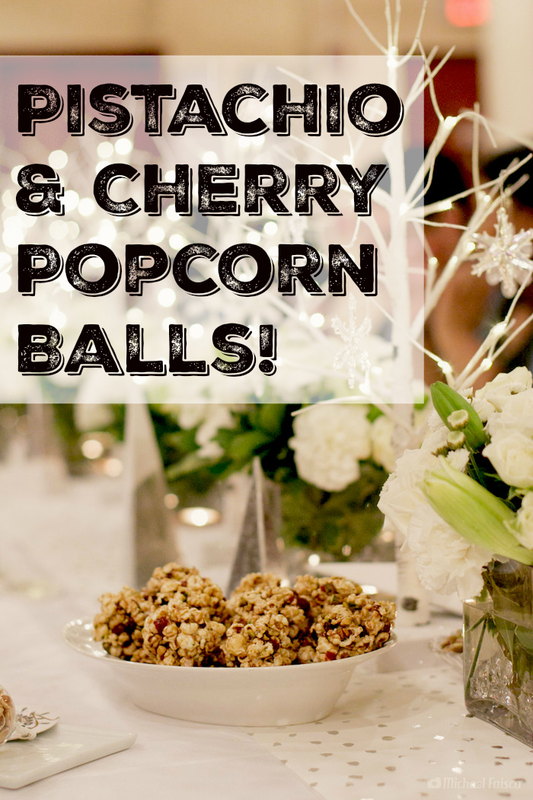 Popcorn balls have always been one of my favorite holiday treats, and this recipe from the Wonderful Pistachios event I attended last week was wonderful. Though this recipe calls for dried cherry, feel free to improvise, adding other dried fruits (or a mix of them!). Dark chocolate chips would also be lovely, as would a dash of almond extract, to bring out the nutty flavors. You can serve these right away as a party snack, or package into individual bags with ribbons to give as holiday gifts or party favors. Disclosure: This recipe was provided by Wonderful Pistachios as part of a sponsored collaboration. All opinions are strictly my own. 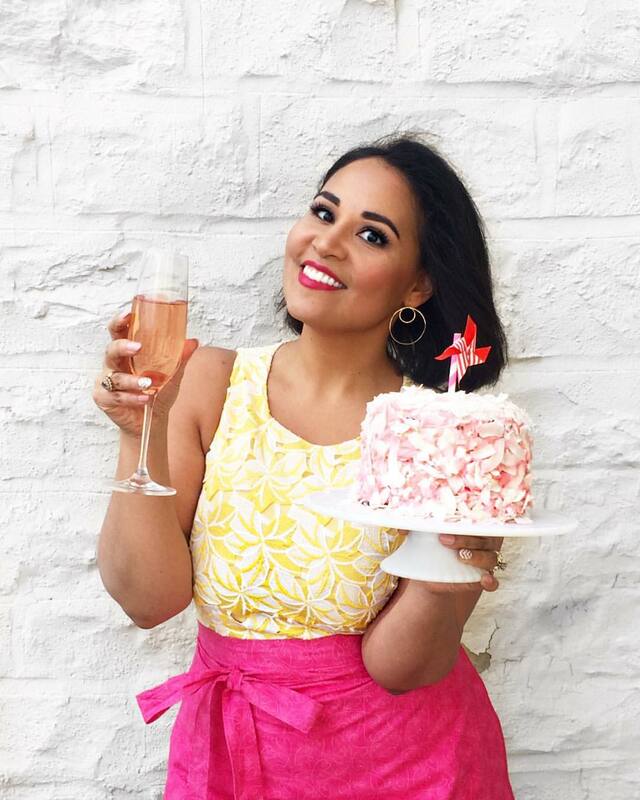 Thank you for supporting great brands that make it possible for me to create fresh new content for you! Line a baking sheet with parchment paper. Set aside a pair of latex kitchen gloves. 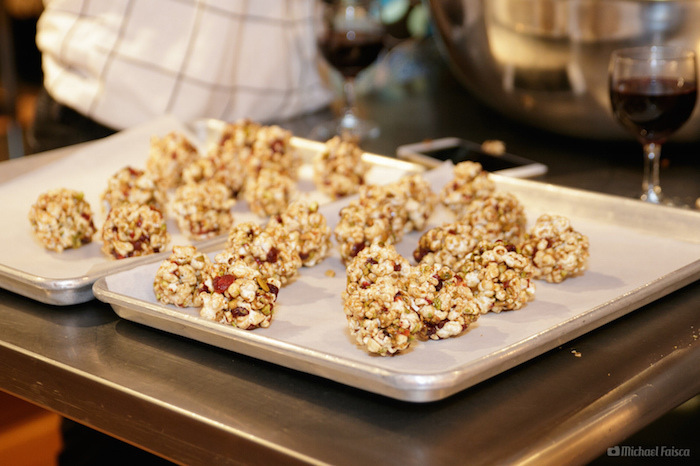 In a large roasting pan, combine popcorn, dried cherries, and pistachios, mixing until thoroughly combined. Pour syrup mixture over popcorn and stir to coat well. Put on gloves and coat hands with cooking spray or oil. Then, working quickly, form balls with the warm popcorn mixture. Place on prepared pan and let cool to room temperature.